A while back, there was an interesting set of data coming out of a discussion about Overwatch. The discussion was about the concept of trickle-down meta, and the takeaway was just the most popular heroes in each tier of competitive play. Of course, the latter doesn’t really prove or disprove anything about the former; at a glance, it seems to reinforce some of the concepts, but I think arguing that the trickle-down effect is in play misses the way that trickle-down metagames actually work and what environments encourage them. The concept itself is fascinating. It just doesn’t really apply to Overwatch; it applies more heavily to MMOs, and there you can see it in action on a regular basis, sometimes even with every given expansion cycle. So let’s talk a little bit about the concept, why it doesn’t apply to games like Overwatch, and why it entirely applies to games like Guild Wars 2 and World of Warcraft. Usually, with stuff like this, I like to start at the top and work my way down, which is particularly appropriate in this situation, so I’ll start by talking about Magic: the Gathering and the age-old tradition of netdecking. Obviously, the actual game of Magic consists of all the cards legal for play, which is upwards of 700 cards in any realistic format. However, of those cards a much smaller set of those cards are actually going to be reliably used, and generally speaking that smaller set consists of reliably known combinations. That’s the metagame right there. If this particular cycle has a strong green/black deck type, a strong monoblue deck type, and a strong red/green deck type, you’ve got an established metagame to play around with. Netdecking, back in the day, was the act of simply downloading a deck list and building your collection around that. Instead of playing the strong green/black deck type, you’re playing Pearl Forrester’s Green/Black Messed-up Zombies deck, following her card list exactly. The notion behind this is that since this deck is already performing well and already known, it makes more sense to learn this deck intimately than play around in hopes of finding something more potent. Since assembling a full deck can be a time-consuming and costly prospect, why not play a deck that you know is going to work well? Over time, the result will be that everyone is playing the same “basic” decks. Green cards and blue cards will be celebrated, and white cards will mostly be ignored or stashed away until sets cycle through. It also means that people will start looking down at a white deck, even if it’s a solid deck; the assumption is that if it were any good, it would already show up a lot. This, in other words, is trickle-down metagame. Instead of picking from your options and finding what you’re best at playing, you’re picking from the accepted top end and just trying to do better with that. In a game like Overwatch, it means that you start practicing and playing with the heroes that get most consistently used at the top end. In an MMO, it means picking the class and specialization options that are known to be the “best” in terms of overall performance. It also means that player culture is based around what the best players are already using, and the high-end competitive scene is assumed to be the best stuff. If every raid in World of Warcraft requires a Restoration Shaman and a Vengeance Demon Hunter, people will want to fill those slots first and foremost. Similarly, if all of the world-first guilds don’t make use of any Windwalker Monks, the assumption is that Windwalker isn’t competitive, which will move to Windwalker being garbage. Let’s look at that list of the most-played Overwatch heroes again. At a glance, it’s easy to say that some characters don’t show up in the top 10 anywhere. But that’s misreading the data in two ways, both of which have important information to convey. Second, Overwatch is a game where you are only committed to a hero until you either die or head back to the staging area. You’re only locked into a given hero in terms of how much practice you have with that specific character. If you start a match as Pharah but find out that your team needs something else, you can swap with no real penalty. Heck, it’s encouraged a lot of the time to be able to switch based on the needs of the match. Sure, from a realistic standpoint you need to get practice in on a given hero to get really good with them. But a lot of the core mechanics are the same regardless. A hero with a more situational skillset can still be deadly in those situations where that skillset is powerful; by contrast, someone like Mercy is going to be useful in almost every match. Thus, the potential for a trickle-down metagame doesn’t really materialize. You’ve got little to no investment over time, and you can always change to a new character as needed. Certain heroes do have skillsets that require a certain degree of coordination to properly capitalize on them, like Winston and Symmetra, but just playing something at the high end won’t make you better at the game. Now, let’s look at World of Warcraft again. When you pick your character’s class, you’re locked into that for the rest of the game. You can’t change partway through. You can change specs, but you’re still making a long-term decision. Thus, it’s quite possible that you’re going to choose your class from the suite of classes that are most useful at the top end, because you have to invest a lot of time and effort to get up to the top anyhow. Even in games where you have more options, this can be an issue. 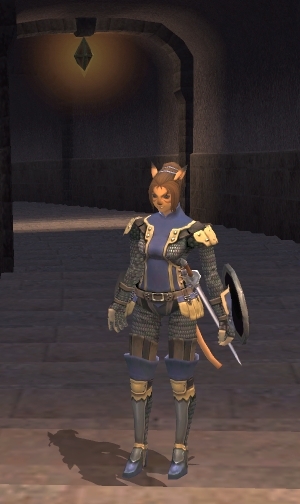 There were long stretches of time in Final Fantasy XI when Dragoons had a difficult time getting parties because they were seen as being “weaker” at the top end… even in parties at level bands when those differences had yet to materialize. Sure, you could always swap classes, but you’d already invested time, money, and practice into getting decent at Dragoon; starting over from the bottom was discouraged. As a result, people are inclined to start playing things from the lower levels when they know they’re going to be more useful. It also, as mentioned before, leads to a player perception issue that a given class option is useless or is best, even if there are actually a lot of things to recommend the “useless” options. There are certain class options which are more or less reliant on gear, for example, and the gear-reliant options will usually lag behind when racing for first place… but once gear starts dropping, they come into their own. EVE Online, in a way, is the arch-example of this. Sure, you can always train to do something else… but training new skills takes time, and it’s very easy to already have so much time invested that it would be counterproductive to change course partway. So you’re probably going to make a plan and stick with it from early on. In short, for a game to really have a trickle-down metagame, you have to be making choices early on that you’re stuck with, good or bad. If you feel like you can respond to a character not being wanted in the metagame just by swapping to a new option, it never really happens. I also see some arguments that trickle-down metagames are inherently bad things. That in a good game, you wouldn’t have this sort of “pick X or it’s no good” design. And honestly, that baffles me a little bit. Sid Meier at one point mentioned that a game is a series of interesting decisions, and there’s a lot to unpack in that statement. But for today’s discussion, we can just stop at “he’s right” and move on, because the point is that you’re always going to have these sorts of decisions in a game. Do you start playing Guardian or Necromancer in GW2? Is it going to help you more to put your merits in FFXI in casting stats or defensive ones? Looking at the top end of the game as a basis for that decision is a sign that the metagame is healthy. It means that you have a variety of decisions to make and you have to make some, and you have a number of different sources to consider in terms of information. What’s being used at the top end? Why? How does that change the layout of the game? What skills are prioritized? The only “bad” element is just using the top end as a guide and ignoring everything else, assuming that, say, the most-played heroes in Overwatch are just the best ones instead of the most broadly useful ones. And that’s just laziness in play. This is why every game, ultimately, has the same metagame advice: Play what you find fun. Trickle-down metagames exist and are useful deciding factors, but at the end of the day, they’re just part of the environment. I hate it, but don’t see how you can stop it as its human nature. It ruins MMORPGs in the long run because it reduces the incentive of being different. Part of the fun of an MMORPG for me is the diversity in style. Some one does something impressive and you naturally make it part of your character. Its also the time we live in. six months before a game comes out I can tell you how much it cost, what it will offer, potential problems, and a conceptual layout of all the systems. Its information overload. It has conditioned us to over prepare for everything including games. While highly efficient it removes that quotient of just playing. So is it a good thing? No. The negatives outweigh the positives. People rather have the instant gratification of anything (leveling, raiding, collecting, what have you) than working hard for something. There’s one bit that I think you alluded to, but ultimately overlooked — the community response to the top-end meta. In World of Warcraft for example, playing what you find fun might mean you miss out on substantial amounts of content if that what you find fun is out of vogue. While I haven’t experienced recently, I remember playing my rogue and being insta-booted from heroics groups in cata because I was assassination, and it was seen as ‘less desirable,’ therefore you do less and have less opportunity because the community sees you as less valuable. 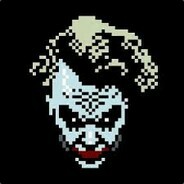 This meta-game/theorycrafting is ultimately toxic to the longevity of a game, if left-unchecked. When it’s easy to min/max, the min/maxing becomes the starting point, the baseline the expectation. Content that is tuned for players to be below the min/max becomes too easy for everyone at the min/max. So developers skew the difficult up to deal with the fact that most players are at min/max, and then sub-optimal builds become almost completely non-viable because the content difficulty has skewed so far up, thereby forcing greater homogeneity amongst specs because the game is now tuned that even if you don’t want to be top-tier, you still have to create your character as if you are. It’s easy to see this through the evolution of WoW and specs, as Gearscore and theorycrafting fundamentally changed it from a role-playing game to a game of cookie cutter designs and mandated Best-in-Slot everything to participate. The current incarnation of specs in WoW allows for almost no meaningful variation within the spec, just skills that work better in certain situations — effectively players are forcibly min/maxed so that Blizzard can tune fights based on ilvl instead of specs. Min/maxing then moves to gear, which is tied to ilvl and reading icy-veins to determine which stats are most important for you to eek out the absolute best you can be, because anything less and other players will make it hell for you to play the game. The main reason that I didn’t go into it isn’t that it’s not important, it’s that this isn’t in and of itself a fault of having some sort of trickle-down mechanic in place. Rather, it’s a failing of game design and of how the community is encouraged to behave. The issues that WoW has in terms of design really don’t stem from Gearscore or theorycrafting, both of which are good things for the game (the latter less so, but it’s at least not an inherently bad thing). They’ve got more to do with a dearth of design ideas and a desire to rewrite the core of the game repeatedly. To use Magic: the Gathering as an example again, that’s a game which has been getting theorycrafted for ages, and yet the game remains vibrant and actively encourages a more wide-open field of player styles. None of this is to say that you’re wrong that these are important issues worth talking about and have a definite role in the way we play games with the aforementioned commitment threshold. It’s just not a result of having the trickle-down metagame any more than burns are a result of having a stove in your house. I guess I’m too casual to worry about THE meta and what everyone else is playing. I grab something I find fun. If a party needs a different class or skill set, I’ll switch characters. I tend to play what I find fun and I tend to play it well.